Pembient uses advances in biotechnology to fabricate horn and other wildlife products to combat the threat to endangered species. "Approved suggestion from source: https://www.pembient.com/"
"Import structured data from Wikidata.org: https://www.wikidata.org/wiki/Q21189681"
Rhino horn is made of keratin, the same family of protein found in hair, skin, nails, and hooves. In order to develop a prototype quickly, Pembient’s initial rhino horn prototypes were developed using cellular agriculture. The prototypes were reformulated from sheep’s wool because wool also contains keratin. However, they realized that the horn's material properties - for example, texture, was not an exact replicate of real rhino horn and would be difficult to carve. Pembient decided to move towards a tissue-engineering approach; growing the horn rather than printing it. The group wants to persuade stem cells from a rhino or other creature to develop into keratinocyteskeratinocytes, which they would then embed onto a scaffold. 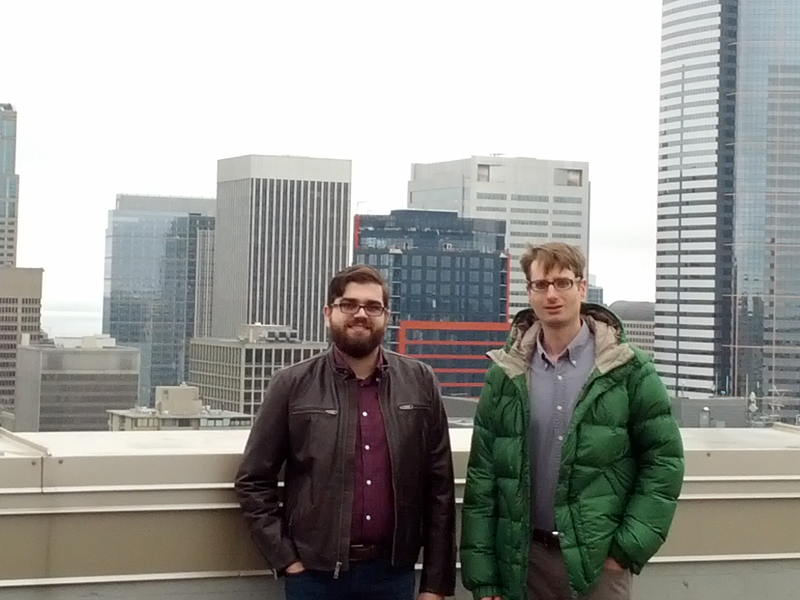 George Bonaci and Matthew Markus on a roof in Seattle, where Pembient got started. ﻿IndieBio is a threefour month business accelerator program which awards $50,000 and mentors biotech start-up companies using synthetic biology. IndieBioIndieBio is a three month business accelerator program which awards $50,000 and mentors biotech start-up companies using synthetic biology. IndieBio is a three month business accelerator program which awards $50,000 and mentors biotech start-up companies using synthetic biology.